In 1988, Arkinetics began with the simple notion that design is a combination of architecture and kinetics, creating architecture in motion. Arkinetics, a SBA firm located in Cleveland, Ohio, helps clients make informed decisions through the design process to create places to work, dine, stay, shop, and grow. Collaboration and trusting relationships are our instinctual approach to design. Arkinetics core competencies and Service Offerings are focused in the following areas: Architectural Planning and Design, Urban Planning, Interior Design, Construction Management and Interior Design with clientele in Retail, Hospitality, Office and Industrial markets. Elford to provide its clients with the highest level of service with a portfolio of 85% repeat clients. Elford owes its success to their employees and has developed award and recognition programs to honor them for their hard work and dedication. Whether it is an office renovation that must be done on a very short schedule or a $100 million greenfield site hospital, Elford, Inc. is ready to exceed owner expectations. Over time, this has led to incredible progress for Elford and a highly-refined process with blue-ribbon results for our clients. Founded in 1983, Karpinski Engineering is headquartered in Ohio with additional offices located in Ashville, New York and Pittsburgh, Pennsylvania. Karpinski provides mechanical, lighting and power distribution systems design for new buildings, renovation of existing buildings, and infrastructure retrofits. Their innovative ideas and solution designs are based upon a solid foundation of education and experience. This expertise allows Karpinski to easily assimilate new technologies and remain at the forefront of engineered system design. Thorson Baker + Associates (TBA) was founded in 1993 to provide engineering consultation and design services for the building construction industry. TBA offers structural, mechanical, electrical, technology, and commissioning engineering design services nationwide with professional registration in forty-nine states, the District of Columbia, Puerto Rico, British Columbia and Alberta Canada. Civil engineering services are offered in Ohio. TBA is fully automated offering computer-aided drafting (CAD) capabilities and Building Information Modeling (BIM) document production on all projects utilizing AutoCAD or Revit software. Registered in 49 States, District of Columbia, Puerto Rico, British Columbia and Canada. Renascent Hospitality is a full-service hospitality management. Our Construction and Renovation Management services work hand in hand with pre-opening management services to assure that the hotel opens properly. From select service to full-service, conference centers, and even indoor water parks, the Renascent Team has the tools to meet and surpass their clients’ goals. Renascent is proud to be associated with the following hotel chains: Marriott, Hilton, Embassy Suites, DoubleTree, Sheraton and Holiday Inn. The senior leadership team at Renascent has over 50 years of combined experience in the hotel industry, and has developed, constructed, owned and operated every category of hotels and resorts. Our diverse experience allows us to speak the language of both sides to get the optimum results for our clients. 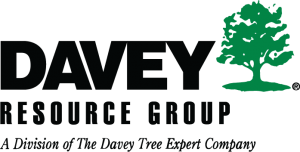 The Davey Resource Group has approximately 9,000 employees provide diversified tree services, grounds maintenance and environmental services for the residential, utility, commercial and government markets throughout the U.S. and Canada. Davey has provided Proven Solutions for a Growing World since 1880 and has been employee-owned for 38 years. Davey Resource Group has decades of experience providing reliable, turn-key ecological consulting services to clients across North America. We are the go-to ecological consulting firm for a range of individuals and organizations, including homeowners, municipalities, developers and energy companies who need expert ecological surveys, design and planning to ensure the success of their projects. The DRG team includes Professional Wetlands Scientists (PWS), endangered species biologists, Certified Professionals in Erosion and Sediment Control (CPESC), LEED Accredited Professionals, ISA Certified Arborists® and GIS specialists. Together, we work to deliver exceptional environmental consulting for every project. REALM Collaborative designs for the human experience. As Urban Designers and Landscape Architects, the opportunity to collaborate with individuals who are shaping the city in their own unique way, whether it be through development, art, technology or policy excites us. We think in terms of the human experience and dig deeper to create places that are safe, activated, experiential, and culturally expressive of the local community. We do this through strategic visioning, user experience design, and thorough documentation that leads to high-quality implementation. Phase Shift was founded on the core tenets of Service, Quality, Agility and Innovation, Phase Shift wraps the deep project experience of its staff inside a nimble business model suited to delivering results in today’s marketplace. Led by industry veteran Tony Warner, Phase Shift leverages past performance on some of the most iconic projects around the world. With deep experience spanning nearly every market sector, we understand the complexities of and challenges unique to each separate market. We specialize in all aspects of technology consulting for the built environment, including AV, IT, Security, and the Internet of Things. We engage in a deep visioning process to establish your project’s requirements and direction, followed up with detailed and accurate project documentation, culminating in well-integrated and properly optimized systems. Hard Light Consulting (HLCG) is a minority-owned; HUB Zone Certified small disadvantaged business (SDB); headquartered in the Washington, D.C. area and Central Virginia. HLCG construction management has been providing its clients with at-risk general contracting services for more than 10 years. HLCG’s clients rely on us because we are responsive, provide outstanding service, and staff each project with a dedicated team that works in concert with owners, architects, subcontractors, and engineers. HLCG provides a full range of general contracting services, beginning to end: from the early planning and design stages through construction, project completion, and closeout.